Simon Macuh graduated in philosophy from the Faculty of Arts in Ljubljana and later enrolled to study sculpture at the Academy of Fine Arts and Design. He has been self-employed in the field of culture as a performer, sculptor and intermedia artist since 2011. In his creative work, he often uses theory as an intellectual and conceptual starting point, which is then translated into practice through artistic processes. He explores the form and content of social relations by interacting with different social groups or individuals. Since 2009, he has been co-creating the Vstop prost / Admission Free annual festival in Celje. He participated in several exhibitions organized by the Fine Arts Salon and the Gallery of Contemporary Art in Celje. Between 2014–17, he contributed to projects by Radio Cona from Ljubljana. For the past two years, Simon has been a residency artist for the Risk Change project, participating in the exhibition Shelters of Babylon and the KIBLIX Festival 2017 (installation, radio transmission and the ‘Participatory community radio with migrants’ workshop). 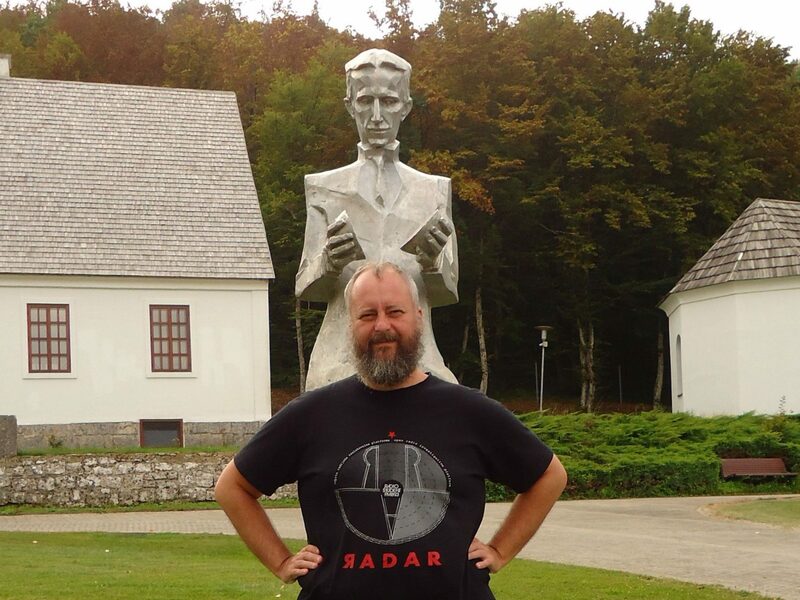 Simon’s works are included in the permanent collection of the Center for Contemporary Arts Celje (photography series Walks for Mindfulness), the regional gallery collection of the Savinja region, and the Savin House in Žalec (sculpture Pieta). Simon is a member of the art collective SIVA; five of their video works are kept as part of the DIVA Station video-archive. Delo Voyage Voyage je del cikla, ki nadaljuje raziskovanje radijskih strategij. Med problemi se izmenjujejo vsebinske in formalne paradigme, včasih pa tudi povsem entuziastični poizkusi poustvarjanja radijskih fenomenov. Če so v preteklosti to že bili radijska igra (»Invazija na Celje«, 2013), posnetki zvočnih krajin (angleško »field recordings«), narativne pripovedi in pričevanja (angleško »storytelling«), je glasba eden izmed logičnih nadaljevanj tega niza. Zvočni performans »Voyage Voyage« je osebno popotovanje (angleško »trip«) umetnika, ki v maniri DJ-vskega mešanja (angleško »mix«) lastnega preigravanja posnetkov in igranja v živo ter izborom komadov, ki jih vsi poznamo, želi vzpostaviti dialog s tistimi, ki vstopijo v njegovo slišno polje in so povabljeni k reakciji ali soustvarjanju le-teh. Ali je tak dialog manj oseben, če v njem deluje več posameznikov in ali skupina, ki se poistoveti s fenomenom, ki je tipično povezan z osebnim okusom tudi gradnja skupnosti?